We’ve been talking a lot about subcultures on our last couple of episodes. And the terms comes up a lot on the internet — usually negatively — to refer to everything from hipsters and punks and goths and geeks to Republicans and Democrats to Christians and Muslims to … uh… MAGA hat wearers. Often if someone uses the term, it’s meant to be derisive. 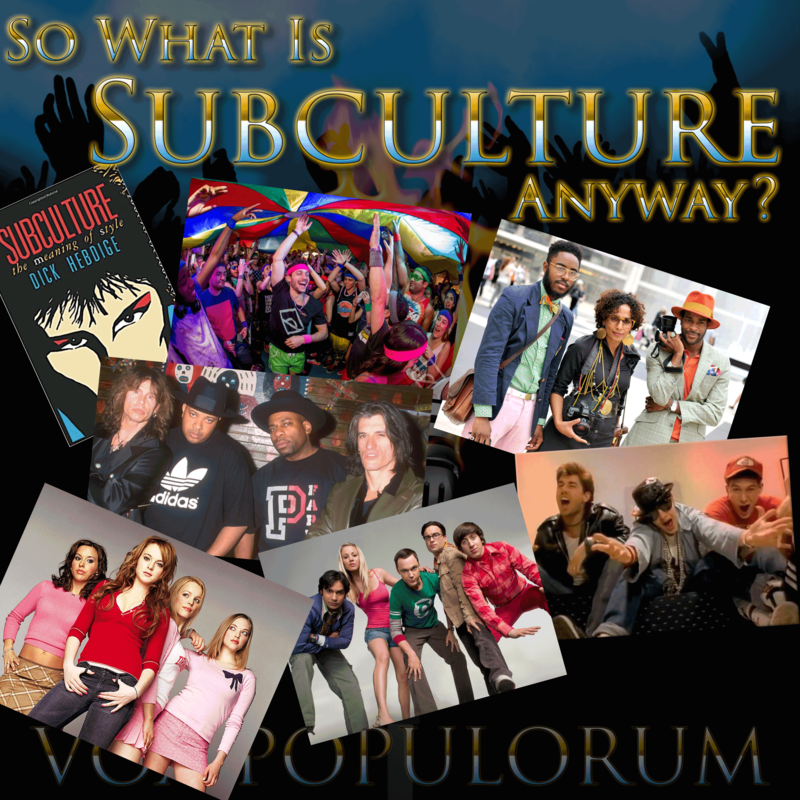 But what is a subculture? Mav and Wayne are joined by returning guests Brooklin Mincone and John Hadlock and first time guest Les Kay to discuss subcultures. How do they work? Why do they exist? Are they good or bad? How does it relate to music, religion, gender, sexuality, media and fashion? Is it all just stereotypes or is there something more to it? And what is their relationship to other related terms like fandom, countercultures, identity politics, and microcultures? Give it a listen and let us know your thoughts!